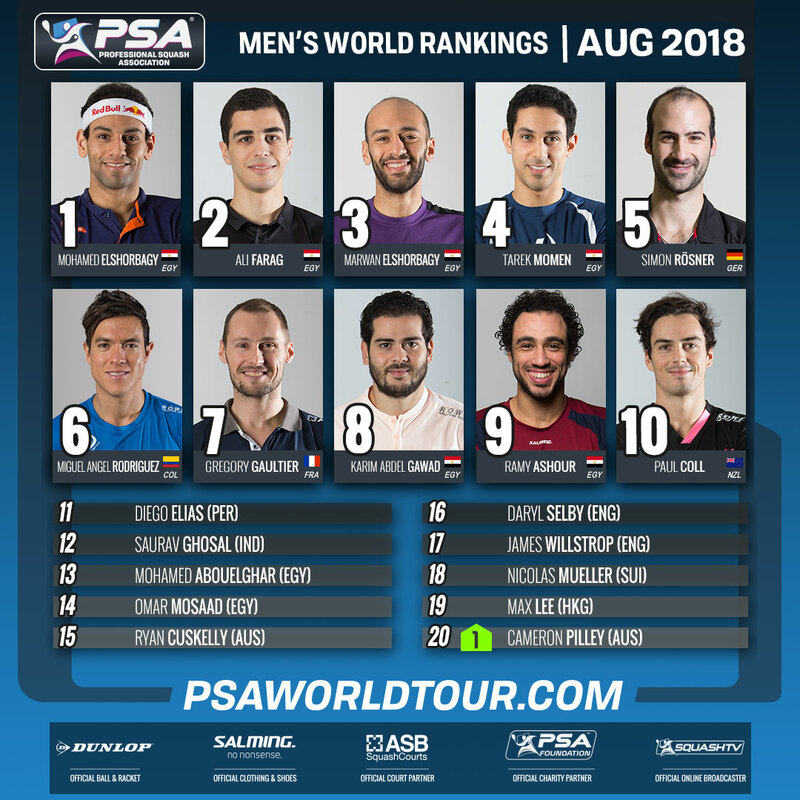 World Champion Mohamed ElShorbagy has overtaken the legendary Amr Shabana to become the longest-reigning Egyptian World No.1 after the PSA Men’s World Rankings for August were released today (August 1). 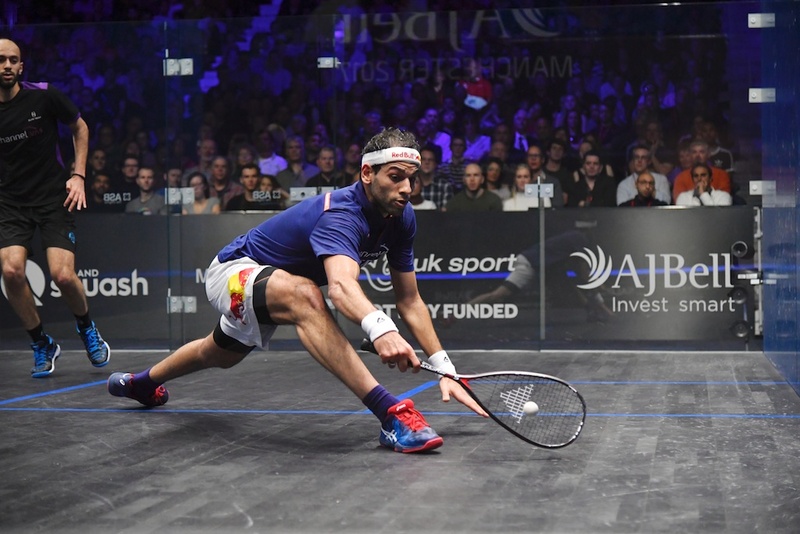 ElShorbagy, 27, has now held top spot for 34 months overall – one more than four-time World Champion Shabana – across three spells atop the World Rankings and the Bristol-based Egyptian has 33 PSA Tour titles to his name. 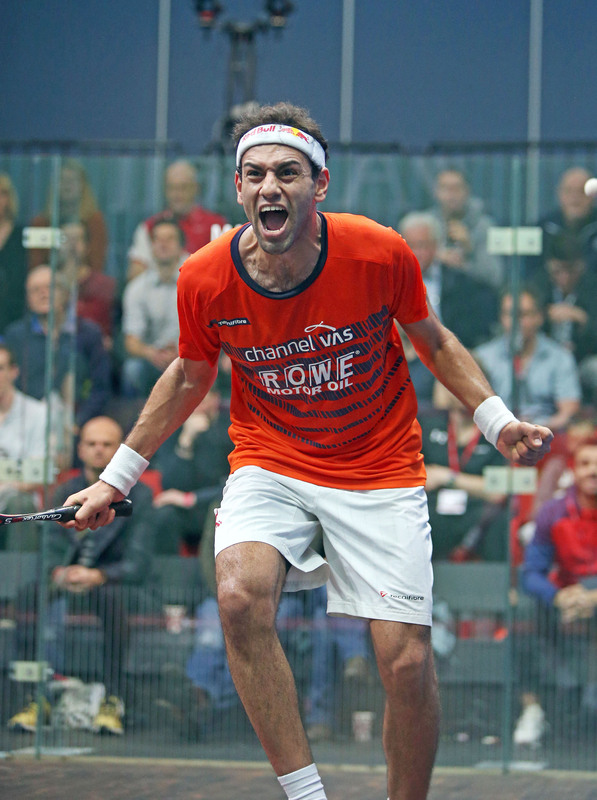 ElShorbagy (right) is part of a six-man Egyptian contingent in the top 10, which also includes Ali Farag (No.2), Marwan ElShorbagy (No.3), Tarek Momen (No.4), Karim Abdel Gawad (No.8) and Ramy Ashour (No.9). Germany’s Simon Rösner (No.5), Colombia’s Miguel Angel Rodriguez (No.6), France’s Gregory Gaultier (No.7) and New Zealand’s Paul Coll are the other players inside the top 10. The rest of the top 20 is unchanged with the exception of the No.20 position, Australia’s Cameron Pilley leapfrogging Hong Kong’s Leo Au to return to the top 20 after a three-month absence. Pilley is currently resting up after an ankle operation. The biggest movers on the men’s tour are Japan’s Tomotaka Endo – who rises 146 places to No.337 courtesy of a first ever PSA Tour semi-final appearance at the South Australian Open last month – and Mexico’s Alejandro Reyes, who moves up 110 places to No.373. Report by SEAN REUTHE (PSA PR and Media Manager). Edited by ALAN THATCHER. Looks like the change of guard will stay so for a long time! Decades of groundwork by Egyptian British Open winners (or players) Mahmoud Karim, Amr Bey, Abou Taleeb, Gamal Awad and Ahmed Barada contributing to the…current superpower?